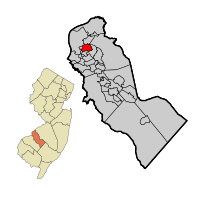 Collingswood NJ Real Estate Info will provide you all the things you need to enjoy this great town in Camden Co with its great shopping and awesome cruise night. Several different highways go right through downtown Collingswood to help it attract some great shops and restaurants - even with outdoor seating. They also host a great "Cruise Night" on the third Thursday of every month - you'll see some really fantastic cars and owners! !